Bleak beginnings drive Richard to foolhardy lengths in an effort to escape his roots, revealing universal insights into family and youth. Relentless roadblocks stall Richard Logan’s journey to manhood in this moody coming-of-age story that pits a fourteen-year-old boy against the secrets, longings, and criminal activities that drive a poor Appalachian community toward ruin. 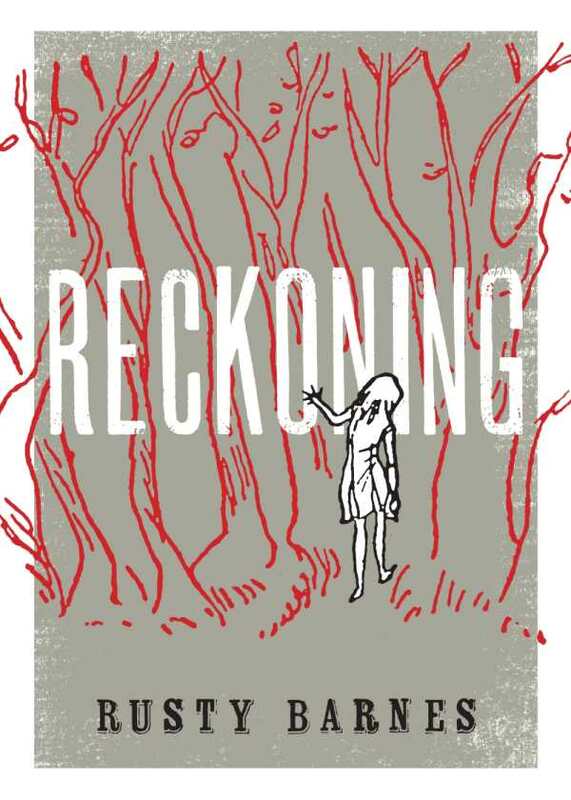 In Reckoning, the first novel from Rusty Barnes, Richard faces all of these things singlehandedly, buoyed only by the bravado of youth and an admirable drive to rise above his circumstances. The circumstances in question come fast and furious in this whirlwind tour through small-town tragedy, from the first fraught pages that have young Richard inadvertently witnessing his boss’s indiscretions, thus drawing his apparently boundless wrath. It’s all downhill from there, as Richard soon encounters the mysterious new girl in town, Katie, and together they stumble upon the naked, beaten figure of Misty, left for dead in the woods. Barnes packs in the action, and the accompanying atrocities—thefts, drugs, drunks, guns, abuse, and fires—never let up. Richard works his way through each turn of the tide, with Katie at his side. The play-by-play approach to storytelling brings a brisk pace, although it doesn’t leave a lot of room for deeper character development. It’s these bleak beginnings that drive Richard to foolhardy lengths in an effort to escape his roots. His best efforts, however, seem to only draw him further into the debauchery that surrounds him. About halfway through the story, it becomes harder to continue to root for Richard, as he makes one bad decision after another. Barnes keeps the pages turning by slowly unraveling each mystery he introduces. In spite of all of the trouble he’s seen, Richard still wants to figure these things out, and it’s worth sticking with him to the perilous end.